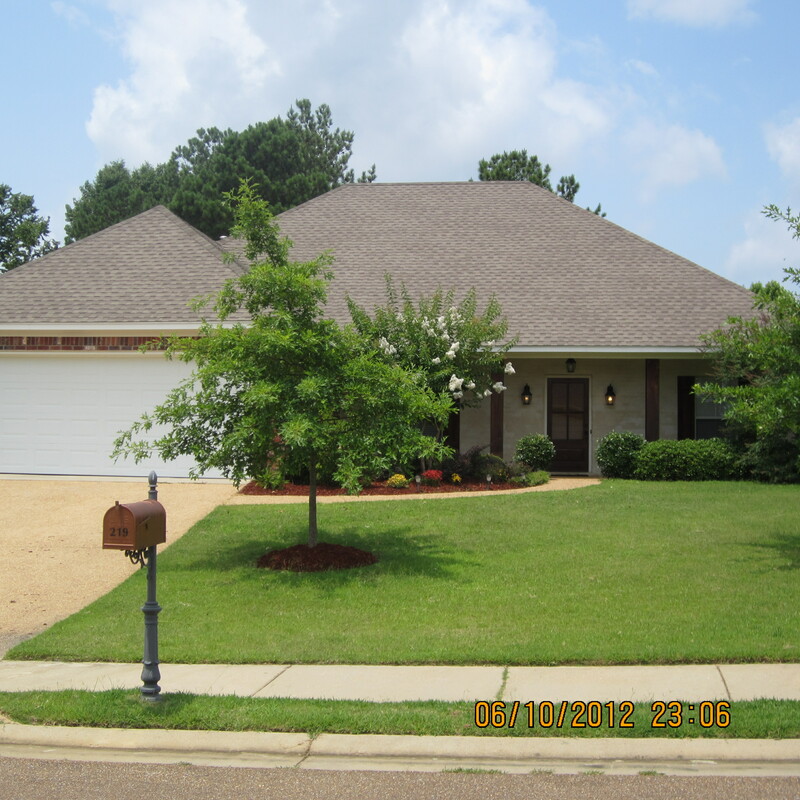 Wonderful street appeal for this 3 bedroom 2 bath split plan home in Providence Subdivision, Madison County. This open, airy home features hard wood floors in the foyer, formal dining area and den. Gas log corner fireplace has large opening, with doors for TV above the mantle. Spacious kitchen with stainless steel appliance package has more-than-normal cabinet storage. The master suite features a nice size bedroom, and bath area with double vanities, whirlpool tub and seperate shower and master closet. The other two bedrooms on the other side of the house are nice size also. The back yard is fully wood-privacy fenced with a scored concrete patio and arbor overhead. The yard is spacious for children to play and relatively flat for those swing sets, and trampolines. The neighborhood enjoys the Madison County Tax Base, the newest Madison Schools and a neighborhood clubhouse with swimming pool.